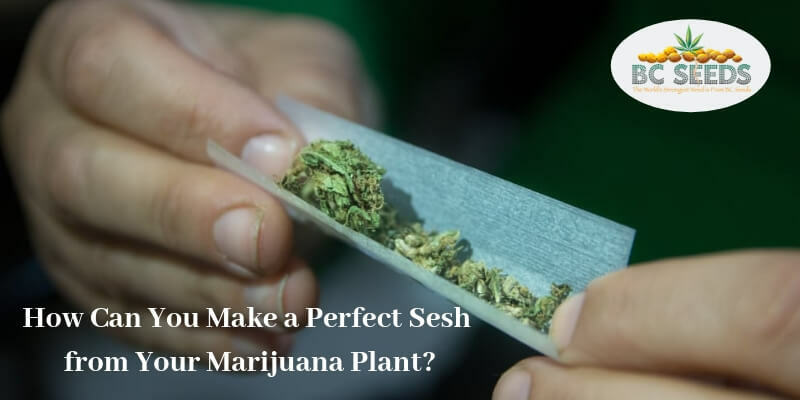 Getting the friends to smoke with and other minor requirements are easy, however getting the perfect marijuana plant strain to give out that relaxation vibe for your sesh section isn’t. Marijuana is an amazing plant with great benefits and beautiful effects that can help you heal, relax, socialize, boost mental focus and up your creativity levels. And depending on which marijuana strain you take, you can fully enjoy these benefits while seshing. Seshing is an age long tradition that has been in practice long before marijuana was fully legalized across different states in America. This session involves sharing weed with your friends as you guys get stoned. Seshing is a time for relaxation, pleasure, drifting of the mind and freeing of the imagination as you all socialize and enjoy each others company. Therefore, the kind of marijuana plant strain best used for this smoking session should be a strain with the relaxation characteristics. Weather you prefer an indica dominant, sativa dominant or hybrid seed strain, here is a list of the top 10 marijuana strains ranked as the beat for recreational smokers that will give you that chill and pleasure making your sesh session the best. Your final decision will vary based on your taste and preference. Once you decide on the perfect kush strain for your sesh you can easily get the seeds from a reputable breeder in person or online. Plant, water and harvest then you are ready to begin your sesh section.